–The State Jewish Theater Housing the former Barasheum Theatre.Teatrul Evreiesc de Stat (TES, the State Jewish Theater) is a theater specializing in Jewish-related plays. 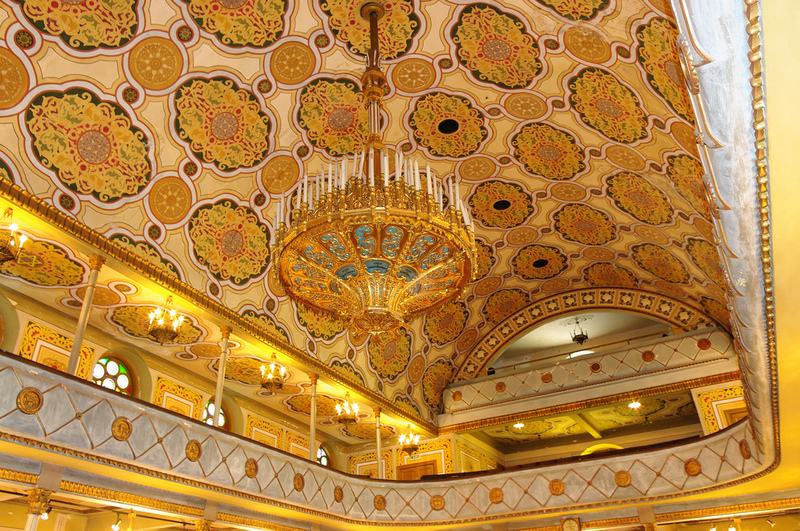 It is the oldest Yiddish-language theater with uninterrupted activity in the world. Its contemporary repertoire includes plays by Jewish authors, plays on Jewish topics, and plays in Yiddish (which are performed with simultaneous translation into Romanian, using headphones installed in the theater in the 1970s). Many of the plays also feature Jewish actors.The theatre was build by the famous Dr. Iuliu Barasch at the end of 19th Century. –Solly Gold – Bauhause architectural style ; designed by the jewish modernist architect Marcel Iancu , one of the founders of Dada Movement. –Art Deco and Modernist architecture into the former Jewish Neighbourhood of Bucharest. -Some of the most famous Old Inns into the Old City of Bucharest (remains). -The Jewish Holocaust Memorial – Bucharest.Made by the artist Peter Jacobi and was unveiled in October 2009. –The Lauder – Reut Educational Complex in Bucharest.The Lauder-Reut Educational Complex, Romania (Hebrew “reut” = “friendship”) is a part of a generous educational project, initiated in the 80s and supported by the Ronald S. Lauder Foundation in 15 other European countries, founded by the renown businessman and philanthropist, former US Ambassador to Vienna, Mr. Ronald S. Lauder. 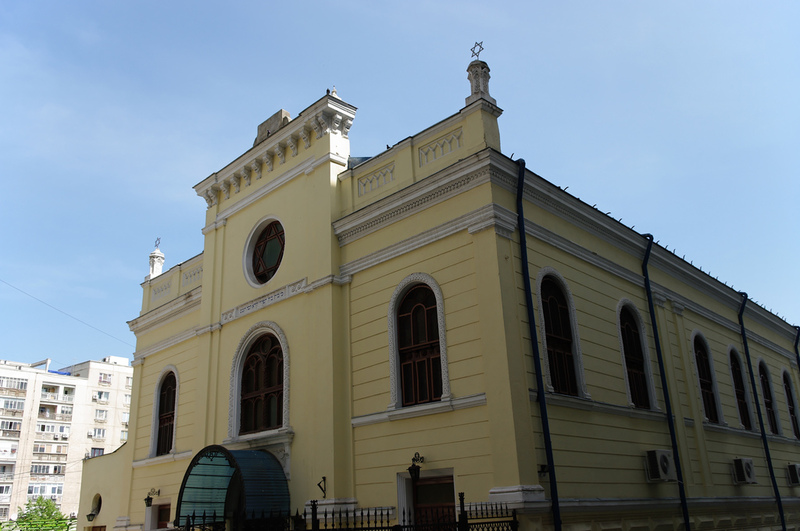 The Great Synagogue in Bucharest , Romania was raised in 1845 by the Polish-Jewish community. It was repaired in 1865, redesigned in 1903 and 1909, repainted in Roccoco style in 1936 by Ghershon Horowitz, then it was restored again in 1945, as it had been devastated by the extreme right Legionaries. It nowadays hosts an exhibition entitled The Memorial of Jewish Martyrs Chief Rabbi Dr. Mozes Rosen. During the late 1980s, just like many churches in the area, this synagogue was virtually surrounded by concrete buildings, so as to hide it from public sight. 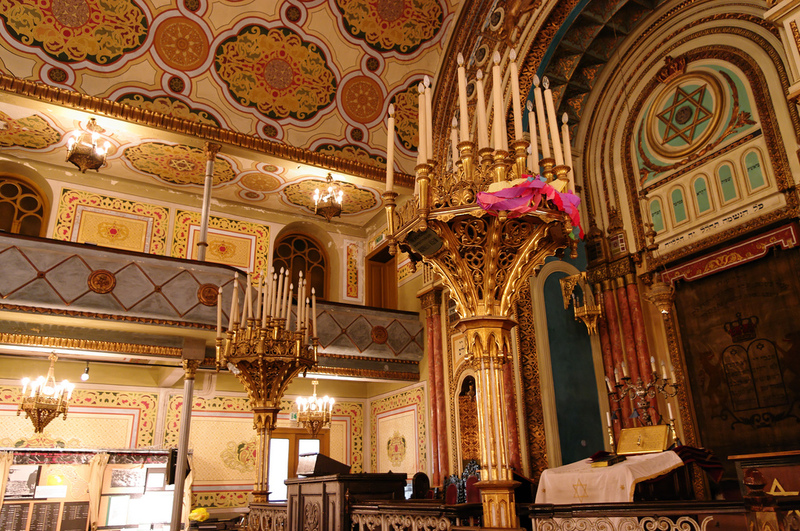 The Coral Temple – One of the few working Jewish buildings left in Bucharest. 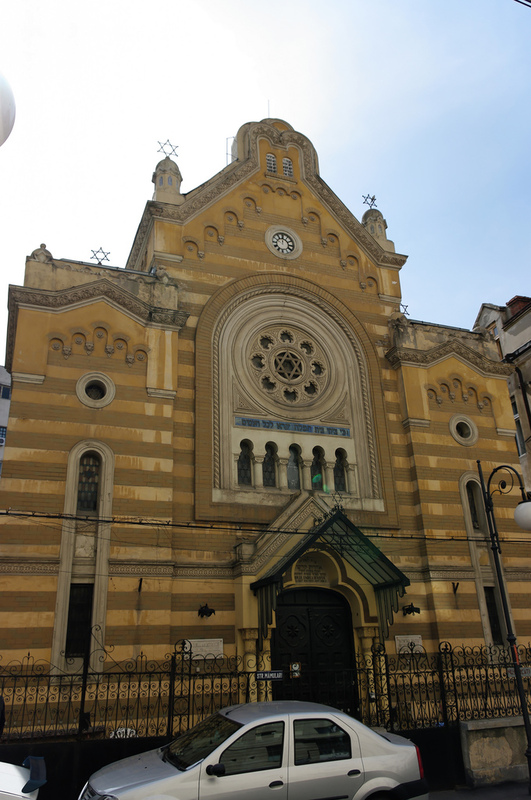 Built in 1857, the red brick temple still serves the now tiny Jewish community of Bucharest, and has a memorial at the front (visible from the street) that commemorates the Romanian Jews sent to their deaths during the Holocaust.It was inspired by Leopoldstdter Tempel in Vienna. Important ! 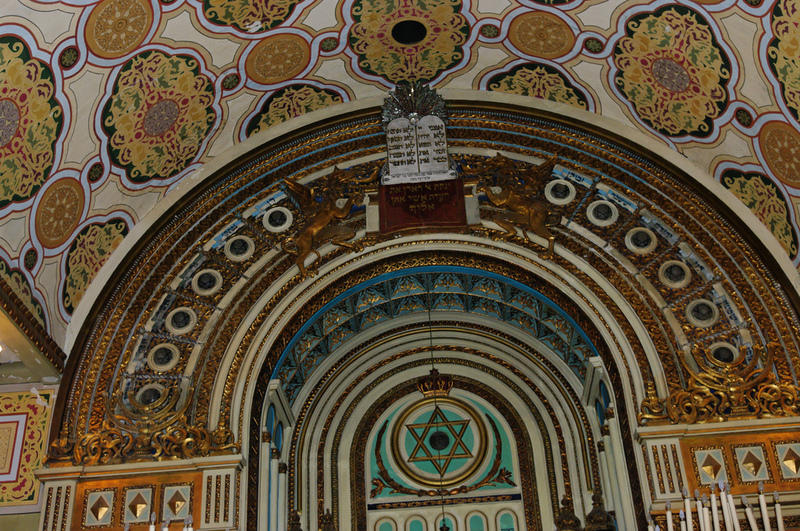 On Saturday, the synagogues and the Moses Rosen Jewish Museum are closed for visits inside !